Founder of Jinlap Maitri Tibetan Tantric Reiki? This traditional healing method of Jinlap Maitri Tibetan Tantric Reiki is attributed to either a Lama Gompa Testen or an American man named Gary Jirauch. I could not find any information on the Lama but did find information on another Lama with an almost identical name. Above is a photo of a Tibetan Nyingma monk by the name of Lama Gompo Tseten. 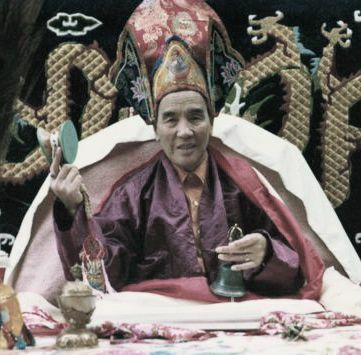 He was Dzogchen master, artist and teacher but nowhere in his biographies does it mention that he was into Reiki. I think that Gary Jirauch is a more likely candidate as he was into Yoga, Tai Chi and other natural healing methods. 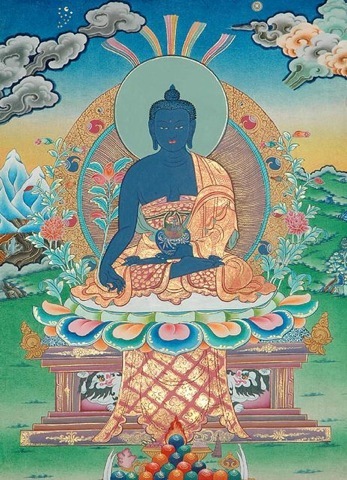 He took Medicine Buddha Initiation and trained in Usui Shiki Ryoho Tibetan Reiki. He also has created several other unique healing methods of his own. The exact origin of this Tibetan Reiki is unclear. Jinlap Maitri, "The Way of Loving Kindness and Healing"is a powerful healing and self-development system. It has five energy levels and is only for those who have attained Karuna Reiki mastership and who wish to continue their development as healers even further. At each level, initiates receive powerful, attunements or empowerments, in the Tibetan Medicine Buddha tradition, providing a wide range of flexibility and depth in both healing and spiritual development practice.